The Cambridge-Dorchester Regional Airport’s mission is to serve the air transportation and service needs of Dorchester County and the Regional Area by safely Providing, Operating, Promoting, Developing and Maintaining modern and efficient facilities and amenities for the traveling public in accordance with all Federal and State Aviation Regulations and Federal, State and Local laws. To provide uncompromised protection of Airport users through safety and security policies. To achieve superior maintenance efficiency and reliability, while protecting the environment. To understand and exceed the needs and expectations of pilots, passengers, airport businesses and customers. To practice prudent commercial principals to ensure competitive costs and adequate funds to support future growth. To achieve proper balence between revenue maximization and fairness with customers. To develop and foster outstanding airport professionals within an exceptional airport team. To actively participate in County goals in alignment with the future growth of Dorchester County. To examine and update the mission. To establish goals and objectives. To examine and align policies, plans and procedures. To provide a safe and secure infrastructure for our users, employees and tenants. To develop an airport master plan (20 years). To develop a strategic plan (5 years). To develop a business plan (1 year). To aggressively pursue all federal, state, local and private grant funding opportunities. To regularly attend national, regional and local meetings, conferences and webinars. To actively promote the airport by partnering with local organizations that promote Dorchester County as a tourism and business destination by positioning itself as a hub for connecting the Eastern Shore to the region. To seek input from stakeholder groups to identify current issues and develop action plans. 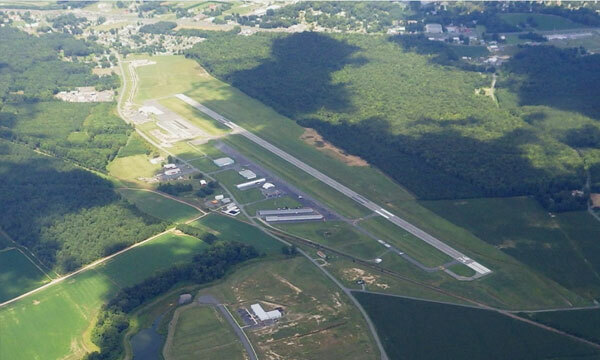 The proposed Disadvantaged Business Enterprise (DBE) goal for Fiscal Years 2018 and 2019 has been determined to be 5.90% for Cambridge-Dorchester Regional Airport awarded contracts with federal financial assistance in accordance with 49 CFR Part 26. The program is available for the public’s viewing purposes at the Cambridge-Dorchester Regional Airport Administration Offices located at 5263 Bucktown Road, Cambridge, Maryland 21613. A meeting will be held on August 31, 2018 at 1:00 pm at the Cambridge-Dorchester Regional Airport Business Office located at 5263 Bucktown Road, Cambridge, Maryland 21613 for all interested stakeholders that are interested in providing input into the Cambridge-Dorchester Regional Airport DBE goal and the methodology that was used to calculate as well as those with information concerning the availability of disadvantaged and non-disadvantaged businesses and the effects of discrimination on opportunities for DBEs. A subsequent meeting will be held on September 14, 2018 at 1:00 pm. A meeting was held on August 31, 2018 at 1:00 pm at the Cambridge-Dorchester Regional Airport Business Office located at 5263 Bucktown Road, Cambridge, Maryland 21613 for all interested stakeholders that are interested in providing input into the Cambridge-Dorchester Regional Airport DBE goal and the methodology that was used to calculate as well as those with information concerning the availability of disadvantaged and non-disadvantaged businesses and the effects of discrimination on opportunities for DBEs.